When you’re sitting at home on your computer, you probably have a variety of other appliances plugged in, silently drawing power. Think about them for a second: do you know how much power they draw? Do you know how much money you could save if you turned off a particular appliance, or switched to an energy-efficient one? What could you do with a smart energy monitor that could tell you all that, and more? What Makes a Smart Energy Monitor “Smart”? Without a smart energy monitor, you probably don’t know which appliances use how much energy. Normal energy monitors tell your electricity company how much to bill you, and may be able to tell you about your home’s total electricity usage. 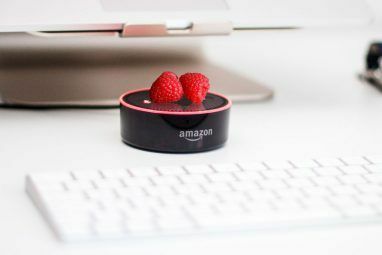 Smart monitors go further, giving you the information in real time, connecting with cloud services that help you control appliances remotely, and enabling you to keep an eye on the activity in your home while away. When I attended the BC Tech Summit in January, I got to interview Janice Cheam, the co-founder and CEO of Neurio, the makers of a Smart Home Energy Monitor that was funded by a successful Kickstarter back in 2013. Neurio gets you personalized answers to these questions with data and visualizations to help you understand your home’s individual energy use*, on an individual appliance basis – even if they’re not smart appliances. But before we get into Neurio and alternative smart energy monitors, let’s step back and first address the fundamental question of why you should monitor energy in your home. Why Monitor the Energy in Your Home? Monitoring the energy in your home is a great way to learn how you can change your behaviours to do your part for the environment, and save money too. Monitoring the energy consumption in your home on an appliance-by-appliance basis can reveal big surprises. Cheam’s big surprise was that the biggest waster of energy Is Your Home Energy Efficient? 7 Things You've Overlooked Is Your Home Energy Efficient? 7 Things You've Overlooked The true cost of a smart home is far cheaper than you think. In fact, there are many home automation devices that everyone can afford, and many of them will feature in this article. Read More in her home wasn’t the heat, air conditioning, laundry, or refrigerator like you might think. One thing that we can all get behind is ensuring the safety and security of our homes. Knowing what appliances are using power when could mean preventing a careless house fire, for example. It doesn’t really matter why you want to track your energy consumption. With a smart energy monitor, you get the information you need to be more environmentally friendly, save money, and know what’s going on in your house, without having to be there. What sets Neurio apart though, is that it can effectively make all of your major appliances into smart appliances, without you having to buy new ones. What your appliances are doing can tell you a lot about what’s going on at home. If you can detect your home’s Playstation 4 is running while away, you know someone is playing video games instead of doing their chores or homework. Maybe you’ll make smarter housework decisions if you know how often the family does laundry, if a load of dishes has been done already, or just how much energy it really costs to fire up the oven to bake a batch of cookies (maybe it’s worth it to bake batches back-to-back and have more cookies now!). Installing the Neurio’s sensor to your breaker panel takes a little bit of electrical know-how (get a professional if you don’t know your way around your breaker panel) but it takes just 15 minutes. Neurio’s cloud service tracks the data, noting events like when an appliance starts and stops running, and how much energy it consumes along the way. You can then use that data to set up a trigger to send you an SMS when your laundry is done for example, with integrations like IFTTT or SmartThings. You can also view and manage all that information in Neurio’s mobile app for Android and iOS. Solar 6 Advantages of Solar Panels You Probably Haven't Considered 6 Advantages of Solar Panels You Probably Haven't Considered Solar power is becoming increasingly common among middle class consumers, with more and more people realizing the advantages of solar panels. Read More is becoming a compelling energy source for people in sun-soaked locales. Unfortunately, it can be hard to tell how much energy you harvest from the sun, and how that offsets your energy bill. If you’re generating solar energy, Neurio’s Home Solar Monitor makes that information easy to understand by graphing it in their slick app for you to understand exactly that. You’ll get a better sense of your ROI on solar, and make better decisions about how much more to put into it. 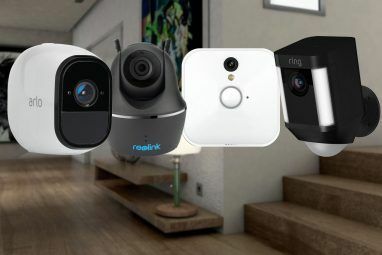 These tools connect up to the Samsung Smart Home Monitoring Hub. The outlets in the SmartThings system are a decent alternative to Neurio’s energy monitor, too. They can let you know whether electronics are turned on or off, as well as control lights and small appliances. The Samsung SmartThings kit can be had for $249. For entry-level smart home control 3 Ways The Belkin WeMo Can "Smarten" Your Regular Household Lamps 3 Ways The Belkin WeMo Can "Smarten" Your Regular Household Lamps We took the time to look at the possibilities for turning your regular household lamps into smart lamps. Read More , consider the Belkin WeMo line of products, like the $49 WeMo Switch. 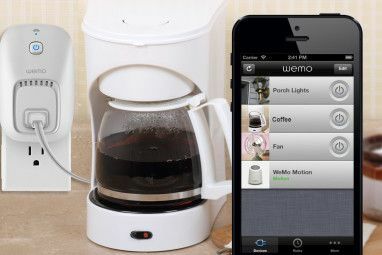 The WeMo Switch fits in between an outlet, and a appliance’s power plug. With that in place, you can control the appliance to turn on and off from your smartphone. The WeMo Switch won’t tell you how much power it draws like Neurio can. However, with IFTTT triggers, you could program your WeMo Switches to turn devices on and off according to data about your energy usage from Neurio and other energy monitors, for example. This last one is for everyone who lives outside the tropics. You probably spend time and energy trying to heat your home just right. The $249 Nest Learning Thermostat saves you energy by learning your temperature preferences over time, and then handling it automatically from then on. The Nest Learning Thermostat can sense when everyone has left, and turn the heaters off. It can learn when you typically arrive, and start your heaters in advance. If you like your home cooler in the evening, it can do that too. You can also automate Nest with IFTTT 7 Nest Automation Tricks to Cut Your Heating Bill in Half 7 Nest Automation Tricks to Cut Your Heating Bill in Half If there were a Nest thermostat in every home, it would have the biggest single impact on energy consumption in history; and it could save you more money than you might imagine. Here's how. Read More , and control it from your smartphone. What’s the biggest energy hog in your house? 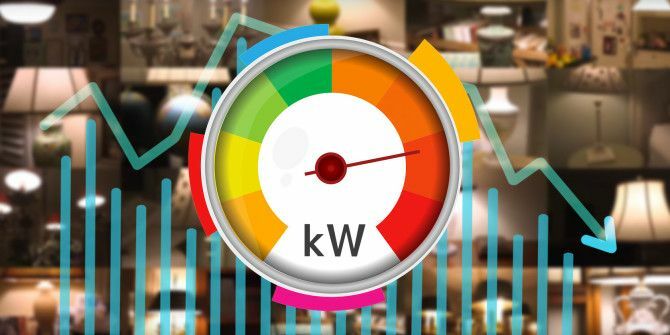 Are you tracking your home energy at all? If you are, we want to know how you track it, and what appliance’s power consumption surprised you the most. What steps have you taken to reduce your energy bill? What was worthwhile and what wasn’t? Explore more about: Energy Conservation, Home Automation.